This question is a particular favourite of mine, as I love to watch films. Whenever I book a flight to a faraway land, I do two things right away: I order a guide book and I start searching for a relevant film (or more) to watch. Are you planning an upcoming trip to Tuscany? One of the best ways to get ready for your holiday is to watch an entertaining and engaging film about a holiday in the region. 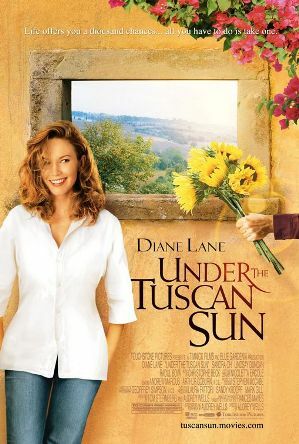 Diane Lane’s Golden Globe Award nominated performance in “Under the Tuscan Sun” is truly magnificent – if you are planning a trip to Italy, this is a must watch. This is our number one! Under the Tuscan Sun is a romantic comedy/drama that was released in 2003. It was written, directed and produced by Audrey Wells, based on Frances Mayes’ 1996 memoir of the same name. In the film, Diane Lane plays the main character Frances, a recent divorcee who decides to buy a run down villa in Tuscany. She is desperate for a change in her life, and her choice to move to Italy is a massive catalyst for growth and romance. The small village of Cortona featured in the film and book is one that makes an amazing holiday destination (or a second home, if you fancy buying a villa yourself?). 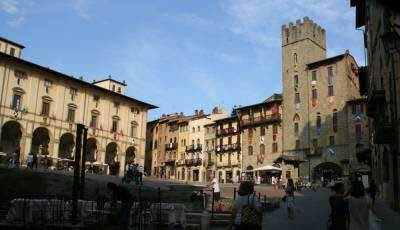 Cortona is located in the province of Arezzo, located in Tuscany. It is famous as a centre for goldsmithing, artistic endeavours, and museums, and it makes a lovely base for a short holiday or a long term stay. Tuscany makes a fantastic holiday destination for anyone. Whether you are a single woman looking for love (a’ la our Italy film recommendation), a culture vulture hoping to explore museums and heritage sites or a woman travelling with your family and kids, Tuscany will take your breath away. Tuscany is located in Central Italy, and the food and wine will blow you away. The capital city of the region is Florence, home to some of the world’s most important works of art. Visit the Uffizi Gallery to check out Da Vinci’s finest masterpieces, wander around the Duomo and spend an afternoon marvelling at Michaelangelo’s David. Cap it all off with a cone full of some of the best gelato on the planet and a life changing meal – Tuscany will not disappoint. If you want to be whisked away to a world of romance, sunshine and comedy, I recommend Under the Tuscan Sun for your next film. Even if you’re not currently planning on a holiday to Cortona (or to Tuscany in general), this movie will make you laugh and get you excited about visiting Italy. I think that this movie offers viewers a lovely taste of Italy, and it’s the perfect introduction to the region for newcomers and repeat visitors alike. Have you ever been to Tuscany? All the cities mentioned are day trips on our Cooking, Painting, Pilates, Photography and Italian language holidays in Tuscany, so feel free join us if you want to explore this stunning region. If you want any more information about travelling to Italy, please feel free to get in touch with us, we love to chat.